What’s Breakfast at the Next Level? It is so important to develop the skill of distinguishing as to what are “man made rules” and what are “universal life laws”. Sometimes we get the two confused so I will endeavour to explain the difference. Firstly, being humans we are all imperfect (yes, I know some of us think we are really amazing but realistically we will make mistakes from time to time – welcome to humanity). How do we know when something is a “rule” vs a “law” and what is the difference? A rule is “man made” and can be changed without consequences. For example, one day a road may have a 50km/hour sign and the next day it may be changed by the Road Transport Department to 60km/hour. Had you broken the rule the day before and done 60km in the 50km zone, and there was no camera, then you would get away with it and there’d be no repercussions (I am not suggesting you willfully break these rules, however am using this to demonstrate a point… read on). 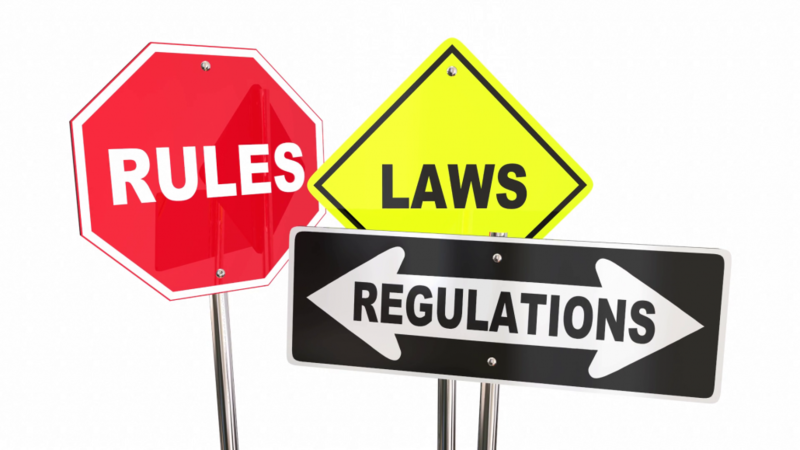 Even though we may at times call these “laws”, the fact remains they are not life laws but merely “man-made rules” as they can be changed by man (or woman). A life law on the other hand is a universal understanding that has its origins from the beginning of time and does not change ever (even after a thousand years). The “law of gravity” is a typical example, you can jump off a cliff and think you can fly, but unless you are a bird, you will fall! It is a universal life law that what goes up must come down – this is the law of gravity. Other laws include, but are not limited to, the law of “sow and reap” – what you put out you get back, for example, if you treat people well, you will have more people treat you well and vice versa… (this is very important in business as well as with family relations). There are life laws from antiquity such as “Thou Shalt Not Lie” are – if you lie, and you know it, you will not feel good (your conscience will not be able to rest) apart from the fact you may get found out and lose other people’s respect. The life law, The Law of Reciprocity is another such powerful law – if you give generously to someone then they will subconsciously want to give back to you. Try it and see how it will bring blessings into your life, I’m sure we’ve all heard the saying “treat others the way you’d like to be treated yourself – with kindness and respect”. As we get older, we discover (much from mistakes or from other wise people) what are rules and what are laws. We learn that although we must to our best, endeavours follow both rules and laws, it is the laws that can have a more profound effect on our life – particularly with our personal development and spiritual development. If we want peace of mind, joy, happiness and more abundance in our lives (whether it is the abundance of love, money or health) then we must be extra diligent with following the life laws. Following life laws ultimately gives us more life. I encourage you to begin thinking today and ensure you do not give the same value to when you inadvertently break a rule vs breaking a law. Although we must always endeavour to always do the right thing, learn to be forgiving to yourself (basically this means I am sorry and will do my utmost to never do this again) and realise that laws have much more significant impact on your destiny than rules. For me, I get annoyed at myself if I inadvertently drive 55km/hour in a 50km/hour zone as I do not want to receive a fine. And if there is no camera, I just say to myself “C’mon next time let’s be more observant buddy”. However, I get really upset with myself if I break a life law such as being “snappy” toward someone and not treating them the way I’d like to be treated. In both cases, I will forgive myself, reflect and endeavour to do better next time. If you want to become better at life laws, come to Breakfast at the Next Level (www.solresults.com/nextlevelbreakfasts) and you will see that the highly successful South Australian leaders we bring on as guests do tend to do one thing in common, and that is, they know and apply life laws. Live with passion, always stay on your life purpose, and stay at peace. 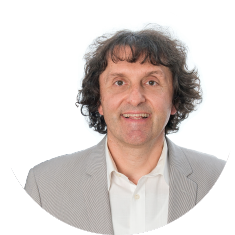 As South Australia’s foremost authority on “Peak Life Performance” and “Leadership Psychology”, Stan has a passion for the development of Human Potential through the use of Rapid Change Technologies. Stan is a prolific reader of books and material on self empowerment and has attended numerous programs around the world on personal development, management, marketing, public speaking, and wealth creation. He is a worldwide accredited NLP Trainer (Neurolinguistic Programming). Stan is an entrepreneur with business interests in various states across Australia. Stan focuses on continuous and never ending improvement of himself and his teams of partners and associates as well as selfless contribution to others. He is an inspiring and motivating speaker, author, coach, and entrepreneur. He desires to expand people’s lives and to expand his charitable quests. Best wishes to you as you live a life of passion, purpose and peace as an open minded progressive human being. © 2018 SOL Results. Breakfast at the Next Level is a SOL Results event. SOL Results (ABN: 75 479 371 220) specialises in training, mentoring and coaching for improved results in the areas of business and entrepreneurship, wealth creation and investment, health and wellness, success and fulfilment. SOL Results is located at level 1, 108 Rundle Street, Kent Town, SA, Australia and you can reach us on 08 8362 3111 or freecall 1800 251 385.